After a lukewarm response to it in 2018, Proptech is set to grow by leaps and bound this year. At the recently held four-day PropTech extravaganza MIPIM, the global real estate gathered to discuss its phenomenal rise. The real estate industry has finally warmed up to the infinite possibilities that PropTech offers the real estate industry. 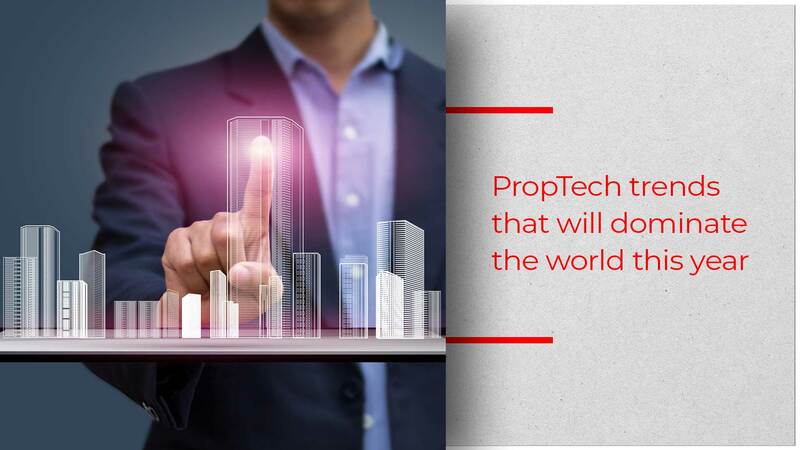 Mentioned below are six global PropTech trends that will take the industry by storm. It was last year that PropTech was all over the place. Almost everyone within the real estate industry was talking about it but only a few dared to implement it. Data collected by the BPF and KPMG by the end of 2018 confirmed this. According to the KPMG report, the industry did recognise the potential opportunities and challenges PropTech poses. But the real progress within it to adapt PropTech was not fast paced at all. A whopping 97 percent of builders under the study felt that digital and technological innovation will impact their businesses, however, more than half of respondents (56 percent) ranked themselves as 5 or less out of 10 with regards to their digital and innovation maturity. This data compared to the increase in the number of real estate companies opting for PropTech or at least thinking about opting for it shows that in 2019, PropTech will become an inseparable part of the real estate industry. This year will see a lot of big real estate companies and PropTech companies collaborating and even merging. There is an expectation for consolidation within the industry, a sign of its growing maturity. So far, this trio is a force to reckon with in all the startup companies of PropTech. The reality of it all is that access to data is probably still the single biggest struggle many startups in the PropTech space face. There is an urgent need to bring in data sharing principles especially in the realm of the intersection of private and public information. While AI and ML have been in their infancy stages, they will slowly but surely becoming the expected “operating system” for all future looking tech solutions. One must be aware of startups who merely advertise themselves as having AI merely to grab eyeballs and increase their worth. Many PropTech investors are confident that there will be an increase in the influx of capital within the industry this year. Data collected by MetaProp Global PropTech Confidence Index shows that 60 percent of PropTech investors are very keen to make more investments as compared to last year. The percentage of investors willing to invest in PropTech has risen by 46 percent within the last six months. Investors are of the belief that in 2019 there will be an increase in the $20 billion mark. This trend had begun in 2018 with JLL Spark and RET Ventures but will see a massive growth this year. More and more real estate players will create proprietary investment funds to deploy their digital strategy. Real estate firms are increasingly aware of the value of not just purchasing offerings from startups, but also of having the chance to take part in the success of startups and ultimately owning them in order to ensure that their needs are met at all costs. Almost across the globe, investors are most excited to invest in ”smart” technologies. This must not come as a surprise especially because of the mammoth expectations surrounding the implementation of PropTech this year. More and more within the industry will open up to the idea of real estate being a service. All in all, it will include user experience management, sophisticated data analytics and tech (IOT hardware and the software).